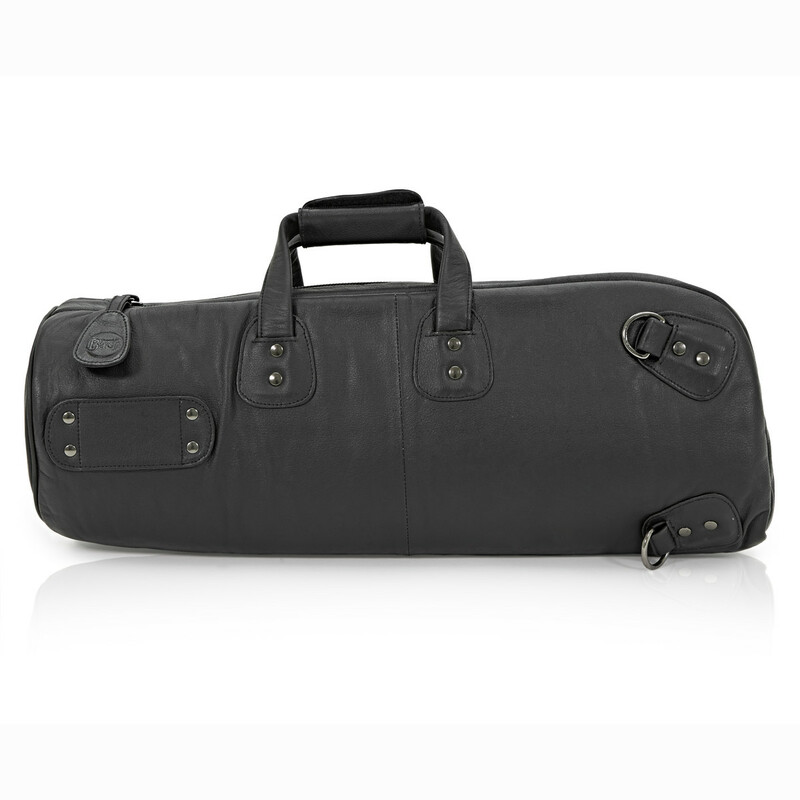 This top quality Bach Leather Trumpet Gig Bag is a fantastic choice for the travelling musician. Including a impact resistant foam and numerous carry handles, this case is everything that a trumpeter could ever need. As well as this, it is also extremely durable and long lasting. All the fitting have been made from metal and then press studded in to place. This makes it so that the bag will last a long time. 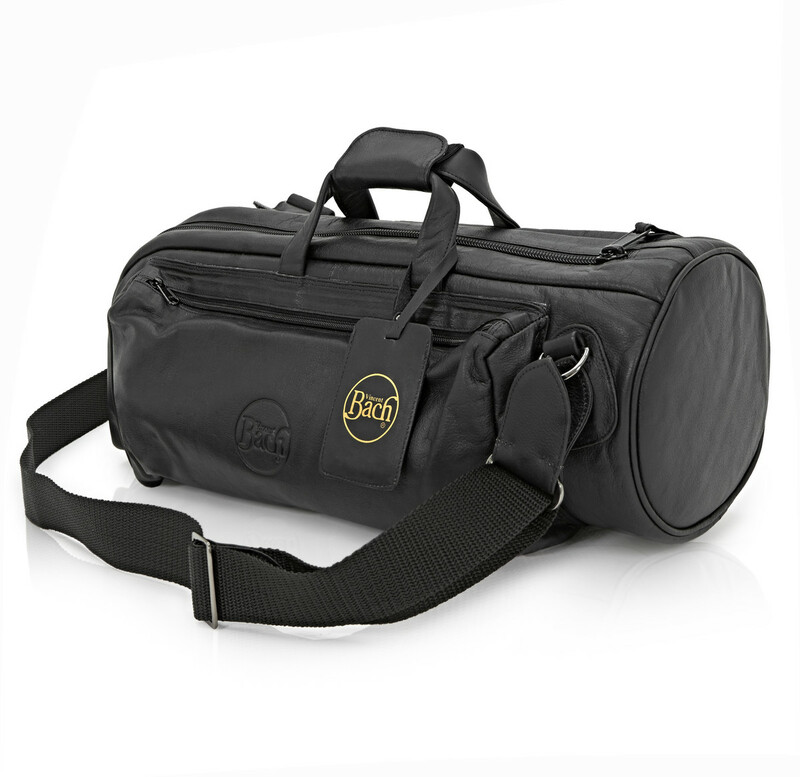 High density foam means that the case is highly impact resistant, ensuring that any trumpet will remain safe in this bag. The Bach gig bag also includes shoulder straps and a carry handle, making it easy to transport the trumpet to rehearsal and concerts alike with minimal effort. All parts of the straps have been made to a premium quality to create a long lasting bag. As well as this, a Raincape has been included to protect it from the elements.